Holter monitoring is used to diagnose heart rhythm disturbances, specifically to find the cause of palpitations or dizziness. 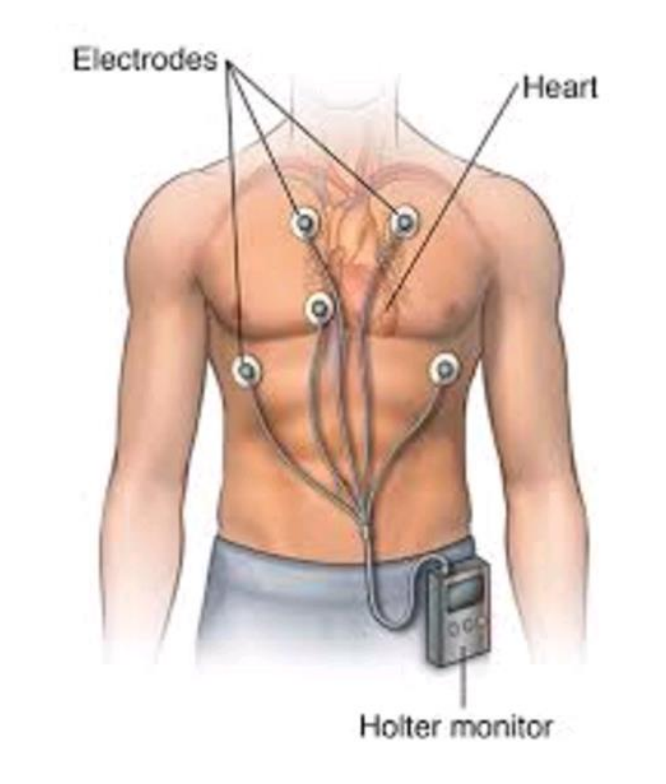 You wear a small recording device, called a Holter monitor, which is connected to small metal disks (called electrodes) that are placed on your chest to get a reading of your heart rate and rhythm over a 24-hour period or longer. Your heart's rhythm is transmitted and recorded, then played back into a computer so it can be analyzed to find out what is causing your arrhythmia. Some monitors let you push a record button to capture a rhythm as soon as you feel any symptoms. Setting up the monitor only involves a few minutes and then you can go about your regular daily activities. You may be asked to write down any symptoms you have while wearing the monitor so your heartbeat at that particular time can later be analyzed. Shower the evening or morning before you attend.